International ​Happiness day 2019 is here. Now, when we say happiness, there are specific things that come to our mind. These specific things vary for everyone, based on their current situation. But do you know what pulls every one together despite all these differences? It's music. For us desis, it is Bollywood music to be specific! Not all, but many of us automatically tune in to our favourite songs when we are in a state of joy. Fortunately, we are blessed with wonderful songs starring actors like Alia Bhatt, Deepika Padukone, Saif Ali Khan, Hrithik Roshan, Ranbir Kapoor etc. These songs are some of those musical pieces that you can just play and the atmosphere around you will change for good. After all, we all love to get lost in our own thoughts with our favorite song playing in the background. Here are 8 such songs that might have made your heart beat faster and made your smile go broader atleast once! Check them out! Aaj main upar, Khamoshi-The Musical- If you're a 90s kid, you know you have sang this one song for multiple reasons with same enthusiasm. Sooraj Dooba Hai, Roy- Forget about the film, but this song is surely for that moment when you are just carefree about the world around you for a change. 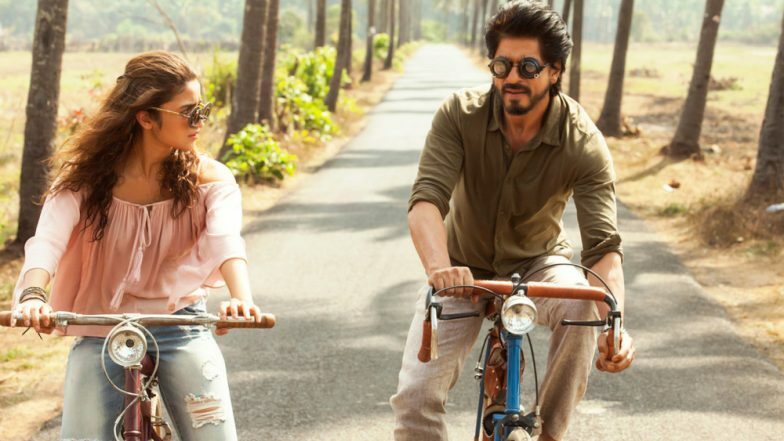 Love You Zindagi, Dear Zindagi- This track is like a hearty conversation with life and treating it like your buddy. You must listen to it atleast once a week, tbh! Aashiya, Barfi- Ittisi hasi and Ittisi khushi is what makes your life beautiful and happy. So why not make it your daily mantra in real life too? Dil Dhadakne Do, ZNMD- What is the use of being happy if that does not make your heart thump faster? Let your heart beat on the tunes of life and this song ofcourse! Chak De Saare Gham, Hum Tum- Pro tip: Smile for no reason when you feel a little low and that will change your mood instantly. That's what Saif explains you in this track. Pataka Guddi, Highway- You don't have to be so controlling about life. Just trust your path for once and see how quickly you turn into one happy human being. The journey song, Piku- This song is not just about the travel but primarily about the journey of life. After all, you be more happy and content when you accept what it is! These n more such songs have made it easier for people who have their life confined in boring jobs, long commuting hours or random dull days. These are mine go-to tracks, which are yours?